This will always be a controversial topic but people damaging supercars is both cringe and hilarious at the same time. Sometimes the driver is a douchebag and other times its just people overreacting, but seeing supercars being damaged makes me sad. What I can say is that, if it was my car, I'd be pissed! There are always two sides to the story, to be fair, but being malicious or childish and using that McLaren as a skateboard ramp is unacceptable. Hating on a Ferrari for making too much noise in the middle of the day is also offsides – unless it's been going on for hours, then maybe a polite "please go somewhere else" will probably work better than just losing it. Other times it's an exercise in revenge because the owner has stepped out their partner but, honestly, isn't there a better way to get back at them than defacing an innocent Lambo? And, every now and then, it's a practical joke that owners just don't find funny, which is funny in itself. 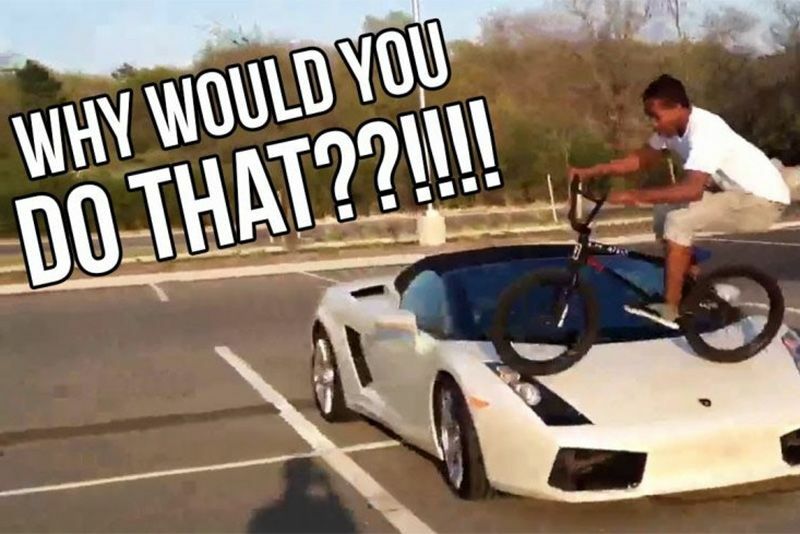 Ultimately, in this technological age with cameras everywhere, we're bound to see compilations of people damaging supercars, just like the one below. Check it out and judge for yourself!